This Alaska DMV permit practice test, with multiple choice questions, is intended to help you prepare for the Alaska written knowledge test that is required before you can get your driver’s license. Passing the Alaska Instruction permit exam is as easy as 1 2 3 using our online interactive driving practice tests with high quality images. Study for this driver’s license practice test is completely free. Every person who operates a motor vehicle on Alaska streets, highways, or other public property must have a valid Alaska driver’s license or permit. An instruction permit is required for everyone learning to drive on a street or highway. 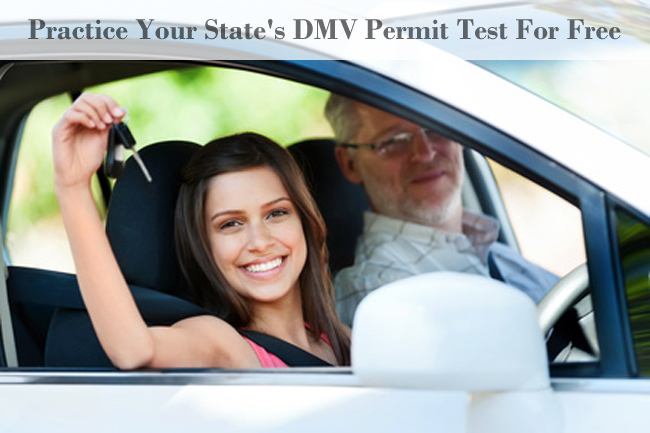 If you are 14 years of age or older, you may obtain the permit which is valid for two years. Getting Ready for the Alaska DMV Practice Test? Here’s What to Know! Are you planning to take the Alaska DMV Practice Test? Let us help you get ready! Great! How do I start? You are eligible to apply for an instruction permit when you are 14. While you are learning to drive, you must be accompanied by a licensed driver at least 21 years old, who has at least one year of driving experience in the type of vehicle you are driving. He or she must be seated in the passenger seat at all times. Instruction permits are valid for two years, and may be renewed one time. Important: Even if you have an instruction permit from another state, you must have an Alaska instruction permit before driving in Alaska. How can I get my Instruction Permit? *If you do not have a local DMV office in your community, please see the Guide to Rural Driving Information. If you are under 18 years old, you will also need to bring Form 433, Parent/Guardian Consent for a Minor, signed by a natural parent or a legal guardian. It must be notarized or witnessed by a DMV employee. Important Notice Regarding Names on Your Documents! Alaska ID cards and licenses must be issued in the name on the immigration documents. If the name will change due to marriage, etc., the name must be updated on the immigration documents and with Social Security before the new name can be recorded on an Alaska ID card or license.Please Note: If your legal name is different from what is printed on your primary document, you will need to bring in the document(s) that provide proof of your name change. You must update your name with Social Security before changing your name with DMV. 3. One document proving your current residency. The document must show your residence address, nota post office box or other mail cache facility. If you do not have a Social Security Number, you must provide documentation from the Social Security Administration verifying that you have not been issued a number. Please Note: Instead of a social security card, you may bring another document issued by the United States Social Security Administration or the United States Department of Treasury, Internal Revenue Service that show both your name and social security number. What will happen at the DMV office? After completing all requirements, you will be issued your Instructional Permit. Alaska offers The Parent’s Supervised Driving Program. Parents and teens will receive the program’s printed curriculum at no cost at the time of permitting at the state’s licensing facilities. The program aims to enhance the state required supervised driving experience by providing parents with a guide that offers guidance and suggestions for higher order learning behind the wheel. This resource is brought to parents thanks in part to Ford Motor Company. You and your parents will use the guide to log the 40 required hours of practice driving. 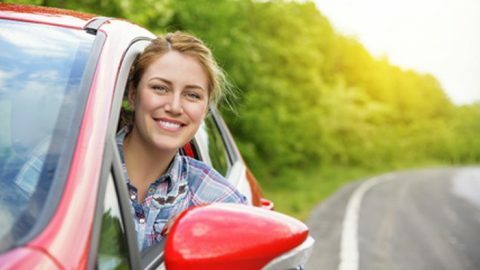 You must pass a road test before receiving a Provisional License. You may not carry passengers under the age of 21, except siblings. You may not drive between 1:00 & 5:00 a.m. Unless you are accompanied by a person who is at least 21 years of age that is licensed to drive the type or class of vehicle being driven. Unless you are driving to or from your place of employment or within the scope of your employment. All driving must be along the most direct route. After age 18, you can apply for a full Alaska driver’s license. To learn more about the Alaska DMV Practice Test, please contact us today.